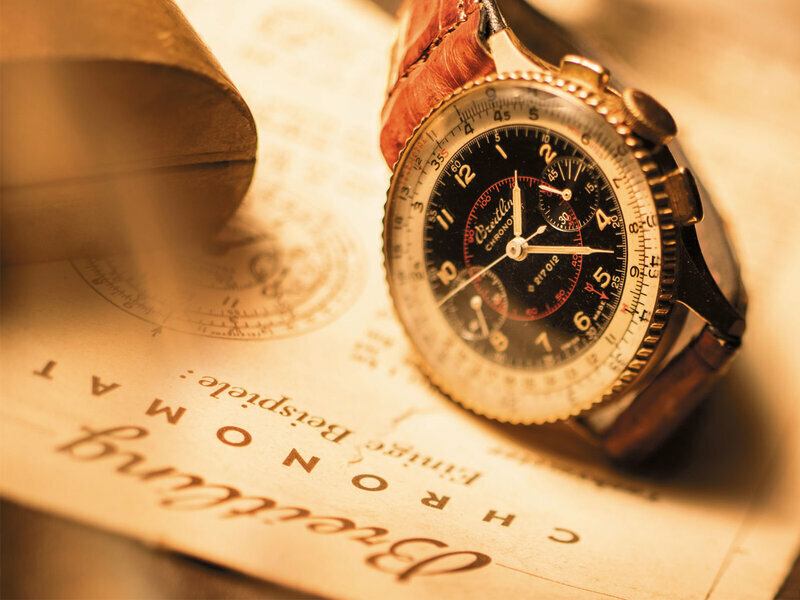 From exploits to innovations, Breitling has been shaping the history of the chronograph for over 130 years. 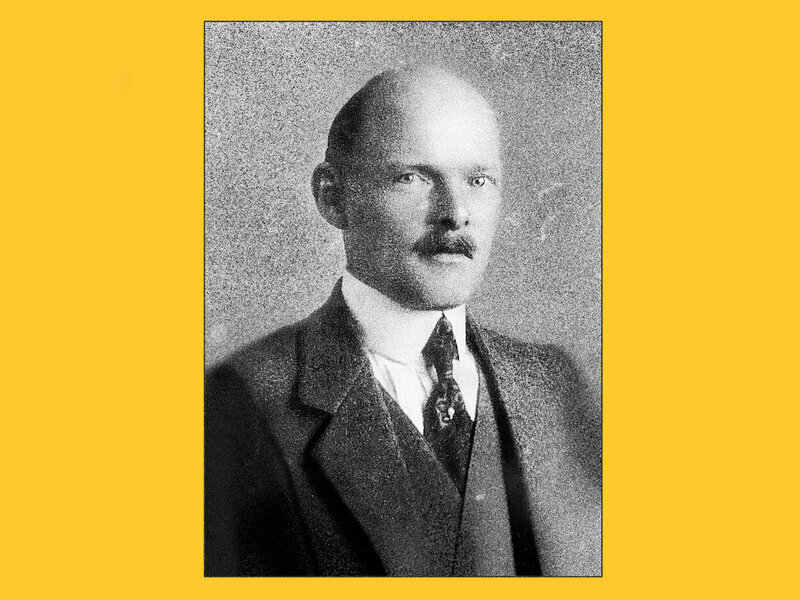 In 1884 in Saint-Imier, Léon Breitling set up the family business that would grow into a brand with its own indomitable spirit. 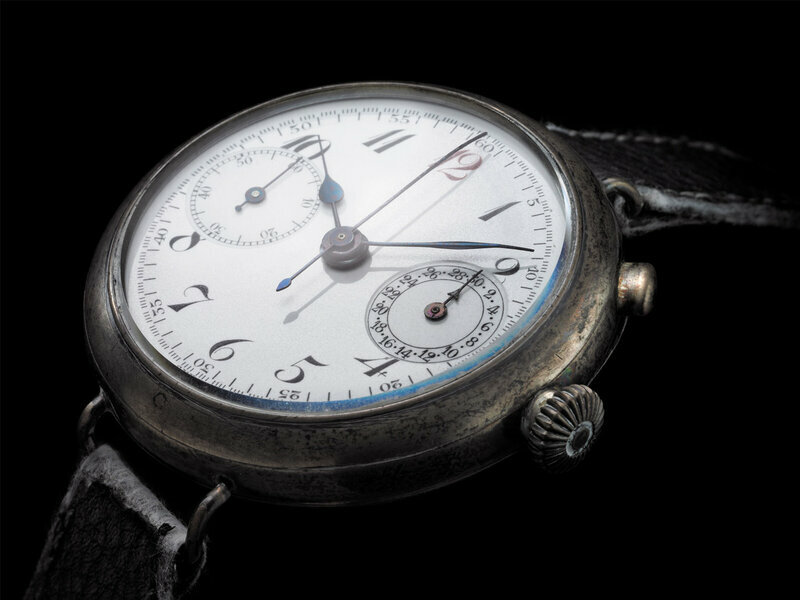 The company lost no time in embracing the automobile era with a timer/tachymeter that measured speed (1905), followed by the first chronograph to incorporate a separate pusher at 3 o'clock (1915). The Swiss firm was also present from the early days of aviation, with the creation of the Huit Aviation Department in 1938. Its onboard chronographs were an instant success. 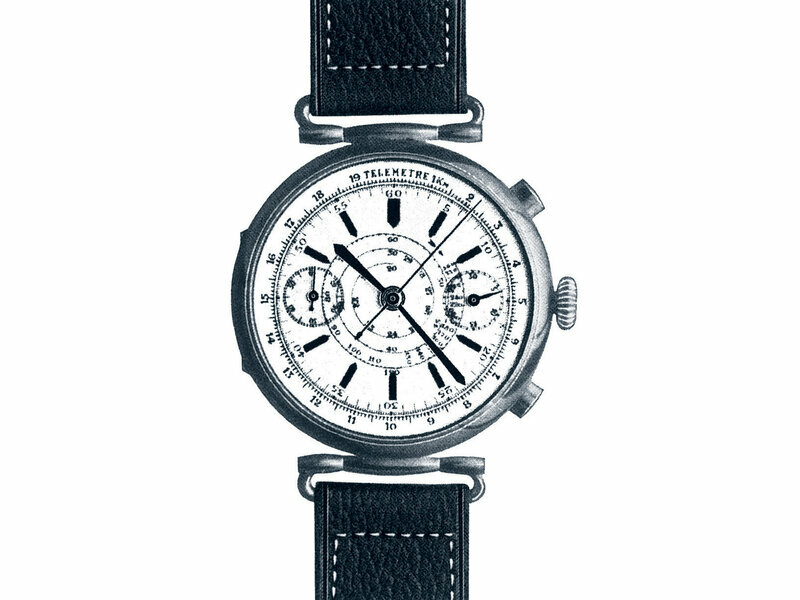 Come 1940, the Chronomat marked the beginning of a new era with its circular slide rule, eclipsed only by the Navitimer, launched in 1952 and future icon of the brand. 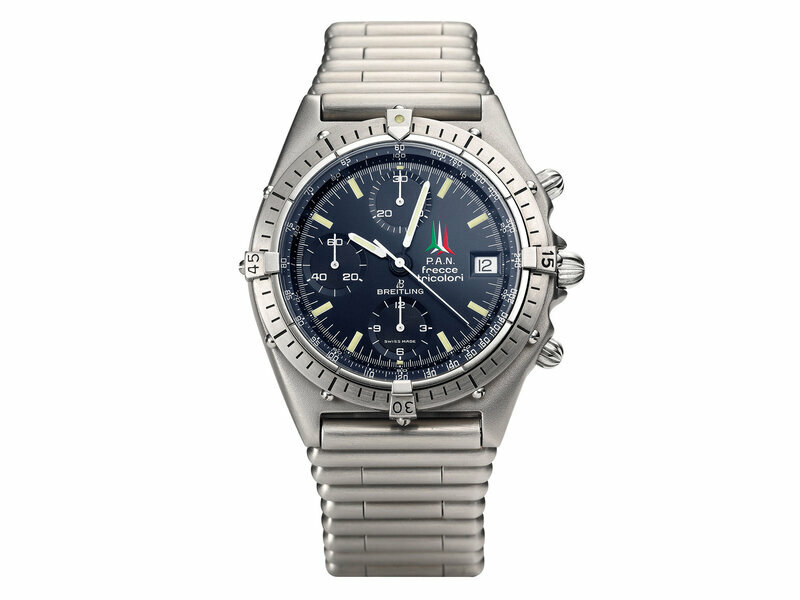 Not content to be the favourite watchmaker of pilots, Breitling explored the world beneath the waves with the SuperOcean (1957), water-resistant to 200 metres, and travelled into space with the Cosmonaute – the first Swiss chronograph to go into space on the wrist of astronaut Scott Carpenter in 1962. 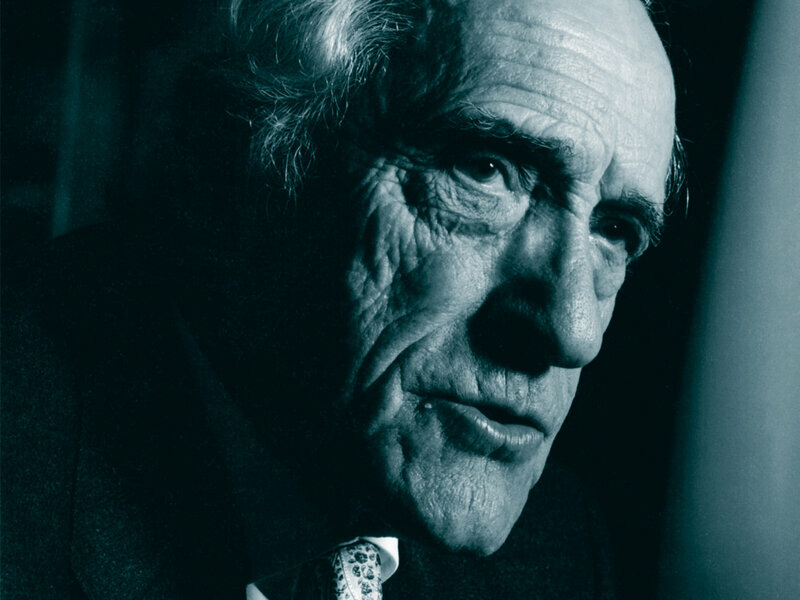 In 1979, Breitling's rich legacy passed to Ernest Schneider, a visionary entrepreneur and himself a watchmaker and a pilot. 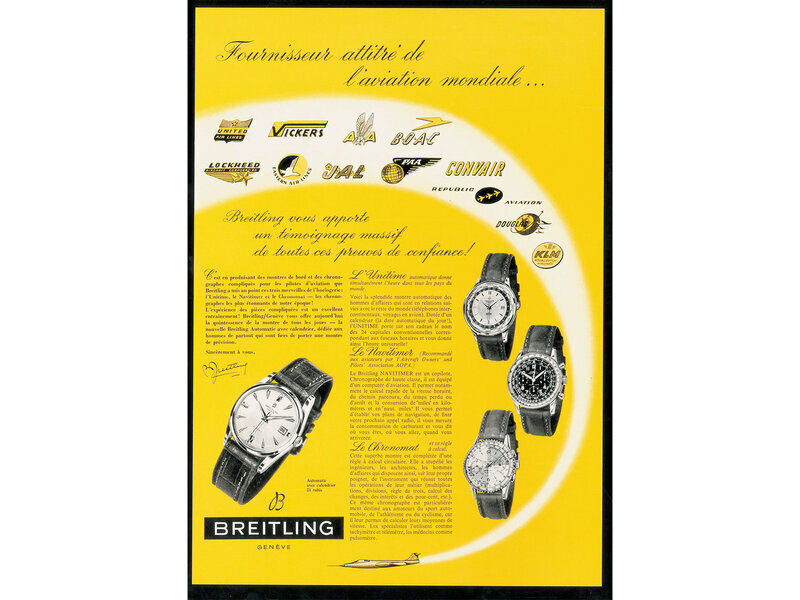 During the 1980s, Breitling took a new era of revolutionary technologies in its stride. 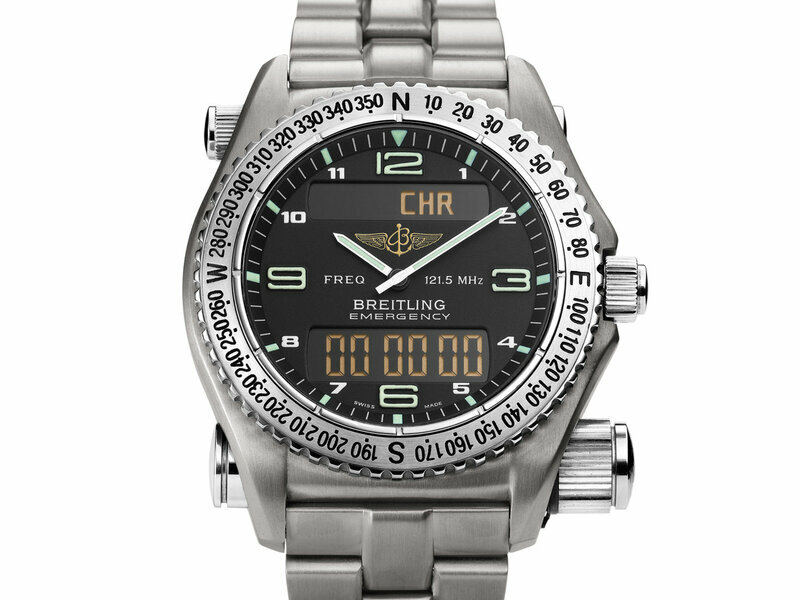 The Aerospace (1985) with its dual analog and digital display, the Emergency (1995) with built-in emergency transmitter, the Chronospace (2010) with rotating slide rule and digital display, and the Exospace B55 (2015), the first chronograph with smartphone connectivity, prepared Breitling to take off into the third millennium. Since 2017, the company has been part of CVC Capital Partners. 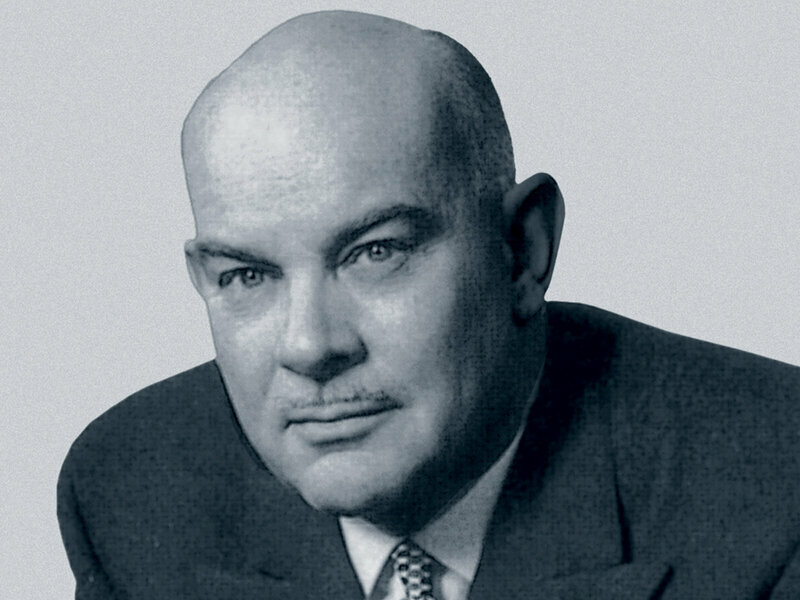 Under Georges Kern's stewardship, Breitling is grounding its icons in the future. 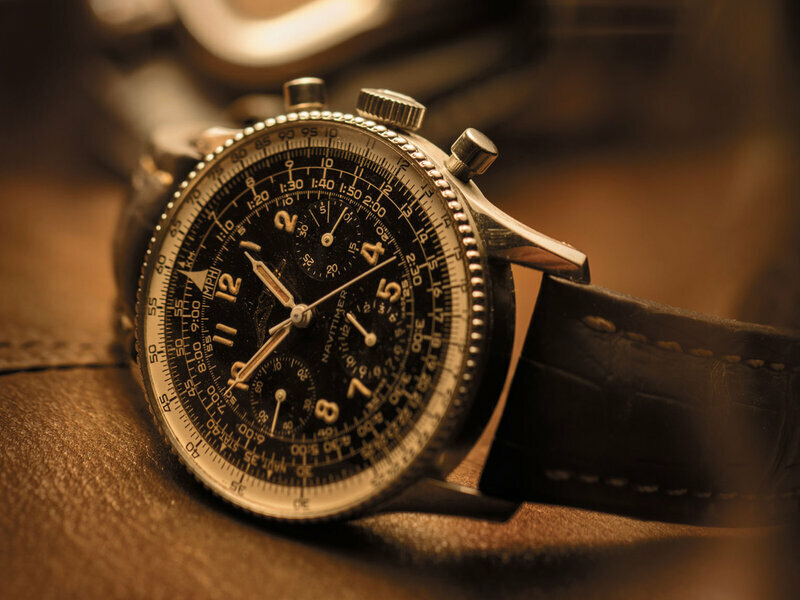 This includes the Navitimer 8 (2018), powered by Calibre B01 (successor to Calibre 01, Breitling's first in-house chronograph, introduced in 2009). It encapsulates the history of the brand and its pioneering onboard instruments of the 1940s. 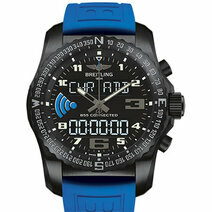 On land, in the air or at sea, more than ever before, Breitling is in its element. 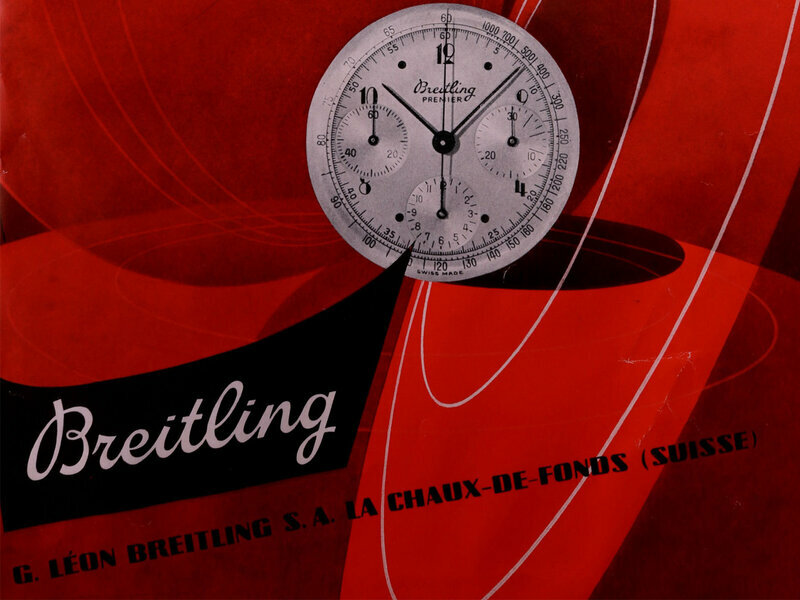 Léon Breitling set up business in the Swiss Jura as a specialist manufacturer of chronographs and precision timers for competitive sport, automobiles and aviation. 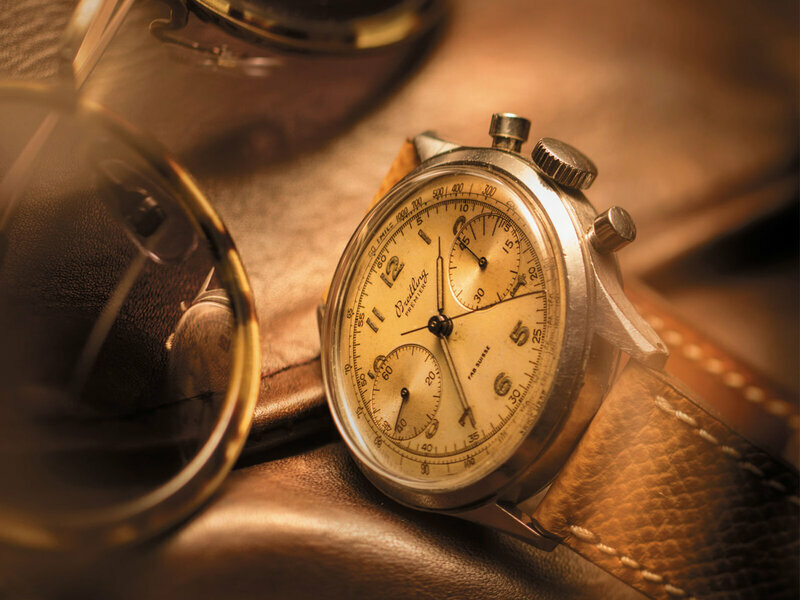 A pioneer like his father, Gaston Breitling unveiled the first wrist chronograph, complete with the first ever separate chronograph pusher. 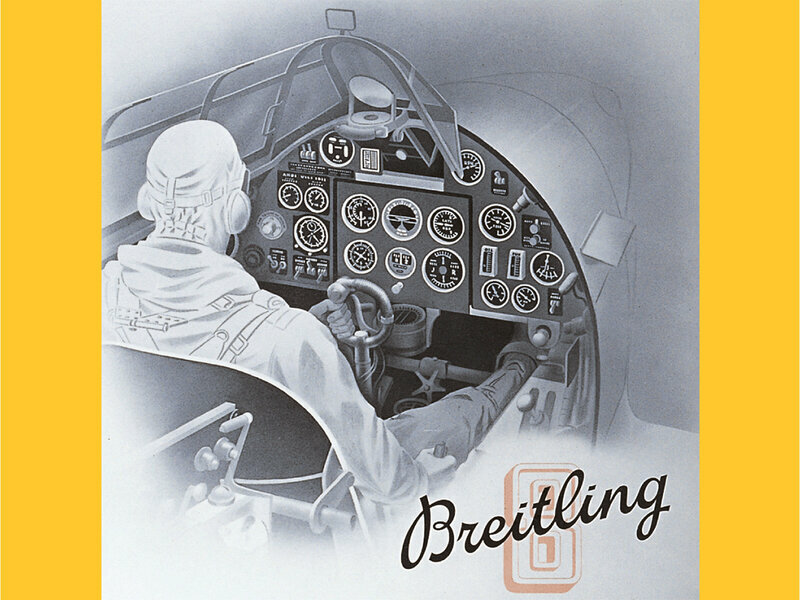 Breitling improved on its chronograph system by separating the "start/stop" and "reset" functions. This patented system made it possible to add several successive times. Launch of the first onboard chronographs that would equip, among others, Royal Air Force bombers during the Second World War. 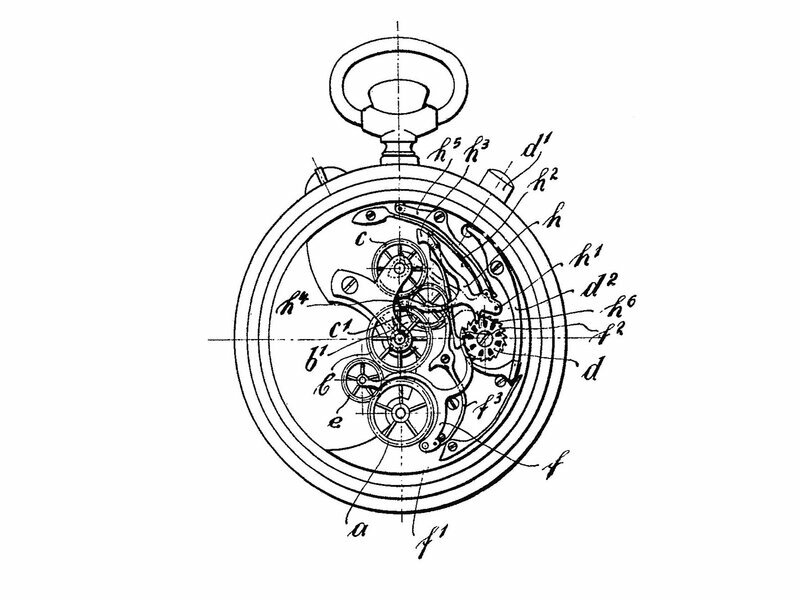 Introduction of the separate reset pusher, a patented innovation that paved the way for the modern chronograph. 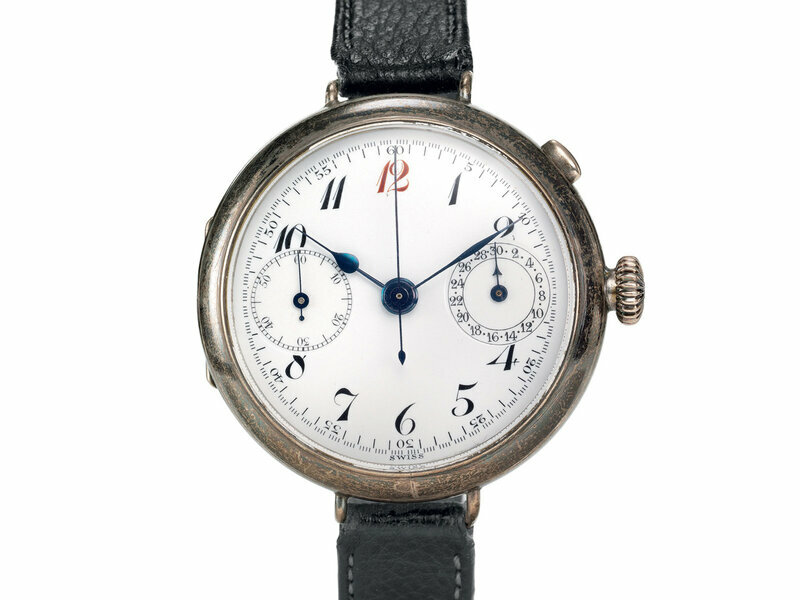 Creation of the Huit Aviation Department, so-named as the majority of the instruments developed there offered an eight-day power reserve ("huit" being French for "eight"). 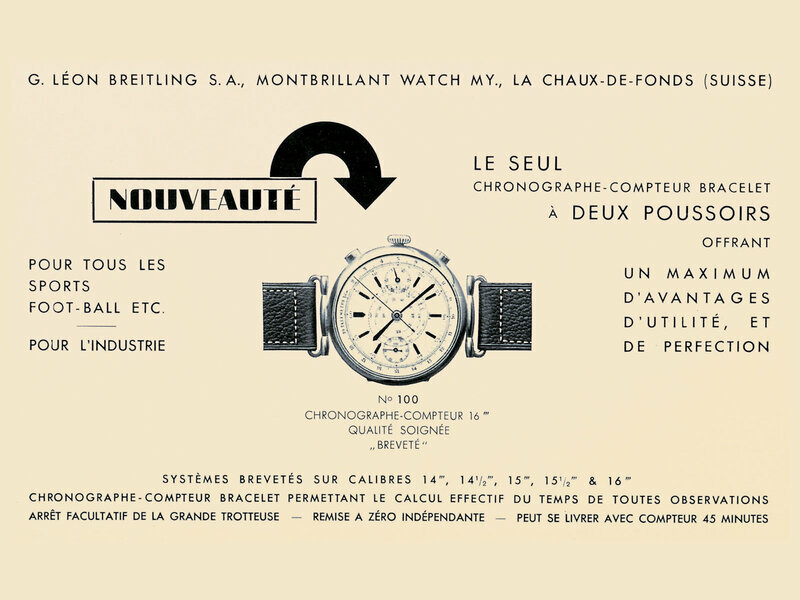 A new era began with the Chronomat, the first chronograph with a rotating slide rule, designed specifically with technicians and scientists in mind. Launch of the Premier line, the first (hence its name) range of chronographs for civilians, as opposed to military use, characterised by reliability, elegance and attention to detail. 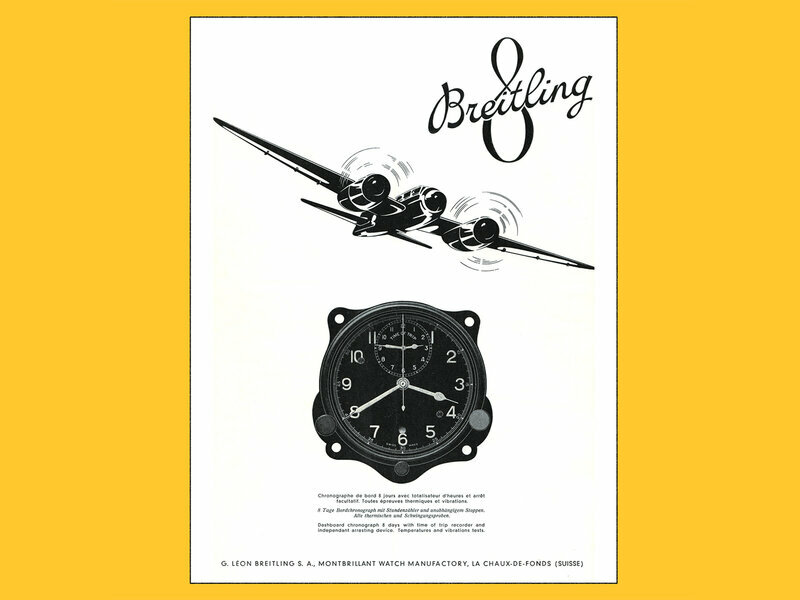 Breitling had become the "official supplier to world aviation". Its onboard chronographs equipped the propeller planes and jets of numerous airlines and aircraft manufacturers. Launch of the Navitimer, the future grail watch for flight enthusiasts. 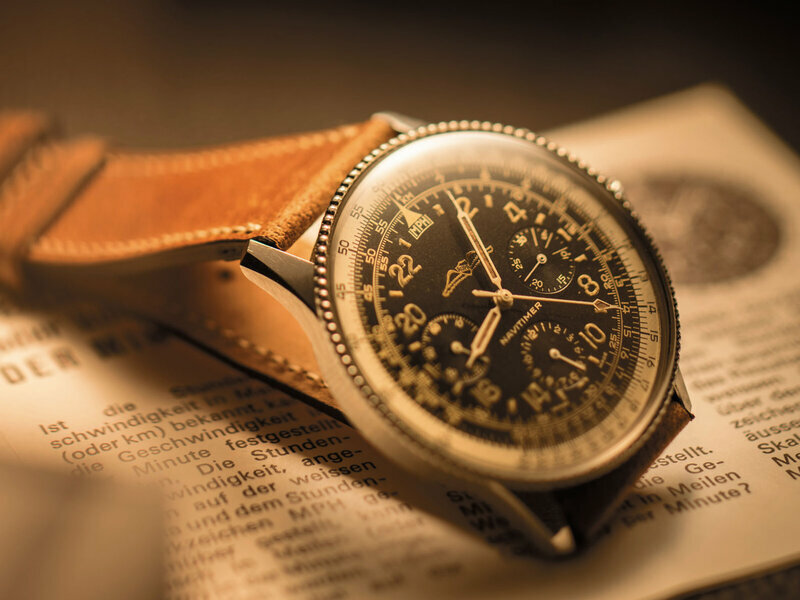 As the official timepiece of the Aircraft Owners and Pilots Association, it quickly became an essential tool for pilots around the world. Its rotating slide rule can be used to perform eighteen essential calculations and conversions while airborne: multiplication, division, conversion of nautical miles/kilometres, degrees Fahrenheit/Celsius, gallons/litres and currencies, time zones, tachymeter, telemeter, pulsometer, metronome, fuel consumption, kilometres per hour, minute or second, rate of climb or descent, square root, cross-multiplication and solar compass. In response to growing demand for dive watches, Breitling debuted its SuperOcean range with a chronograph and a three-hander. 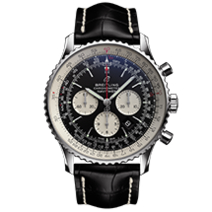 Breitling travelled into space when the American astronaut Scott Carpenter orbited the Earth inside the Aurora 7 capsule, wearing a modified Navitimer. Renamed the Cosmonaute, its 24-hour dial, as opposed to the usual 12 hours, enabled Carpenter to keep track of daytime and night on Earth. 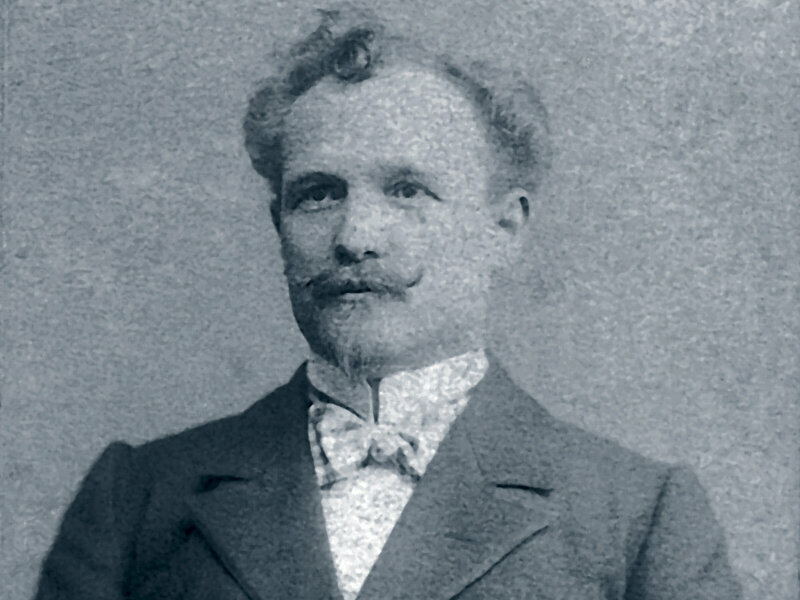 At the helm since 1932, Willy Breitling, grandson of Léon Breitling, sold the family firm to Ernest Schneider, a former Swiss professional soldier now at the head of a small watch manufacturer (Sicura). 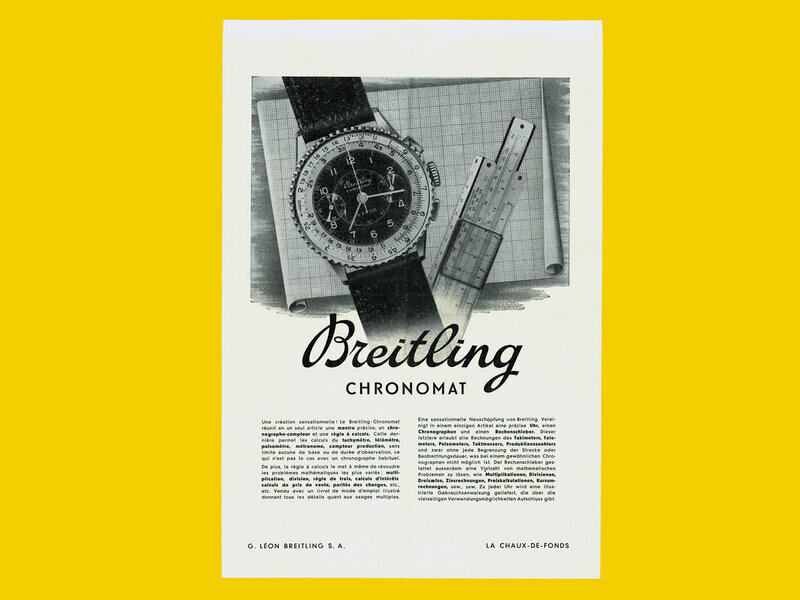 Schneider registered the company as Montres Breitling S.A. and relocated its head office to Grenchen. 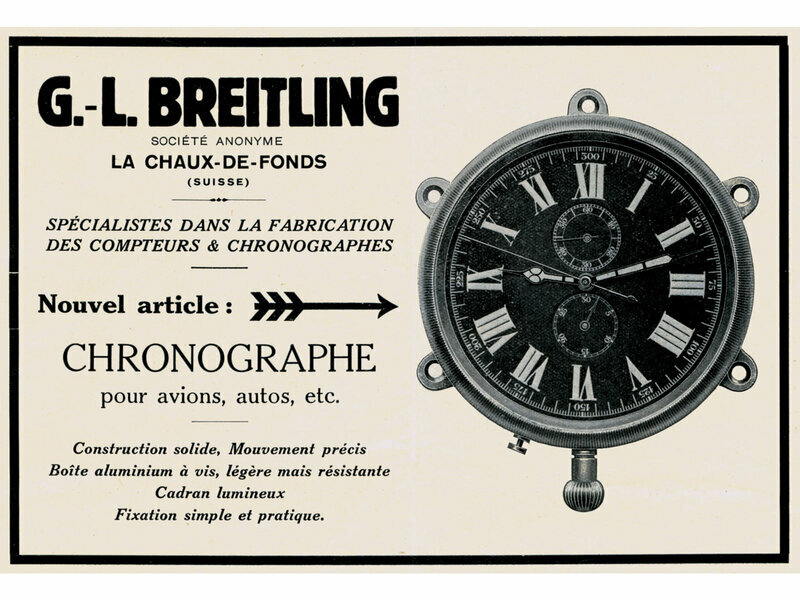 Willy Breitling passed away five weeks later. Creation of an aviation chronograph for Italy's Frecce Tricolori aerobatics team. A year later, it joined the regular collection as the Chronomat. The Emergency became the first wristwatch with the potential to save lives, thanks to a built-in emergency transmitter, locked onto the international air distress frequency (121.5 MHz). Other functions are a chronograph, triple calendar, countdown, second time zone and alarm. 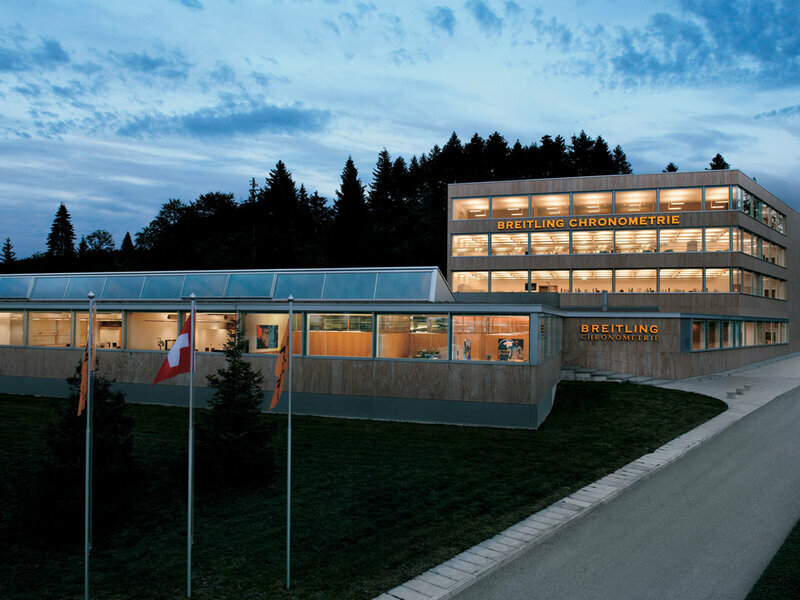 Opening, in La Chaux-de-Fonds, of new manufacturing facilities, Breitling Chronométrie, dedicated to high-performance calibres with the objective that the entire production be chronometer-certified. 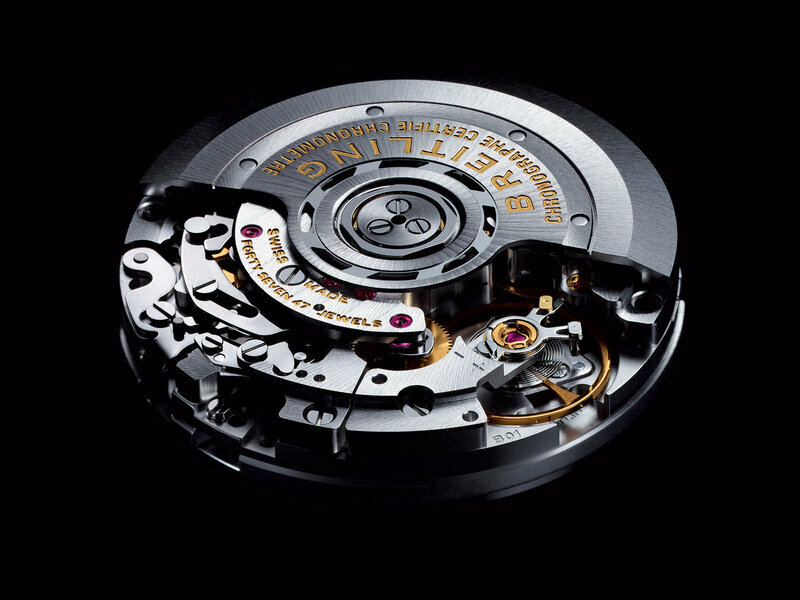 Introduction of the Breitling 01 calibre, an in-house, integrated (no additional module) chronograph movement with COSC chronometer certification. 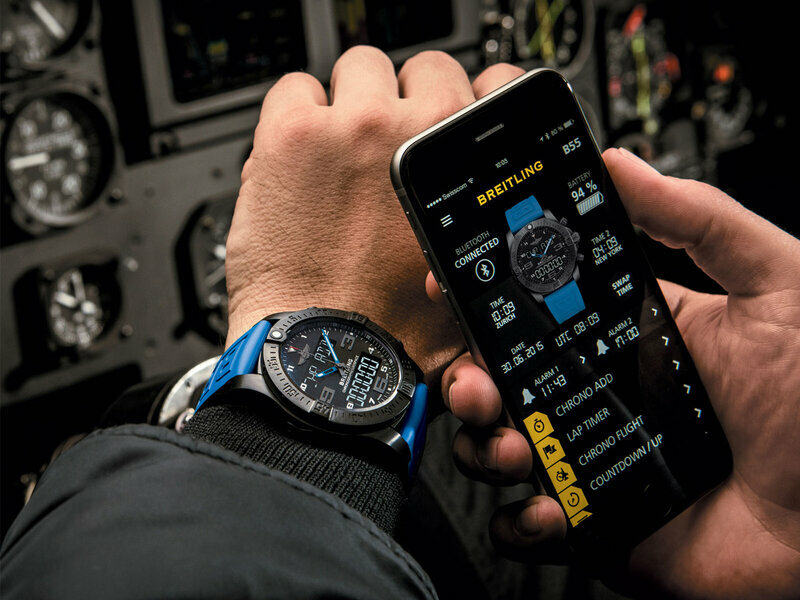 Launch of the Exospace B55 chronograph, which uses smartphone connectivity to deliver increased functionality. Its exclusive movement provides a range of unprecedented functions, many with aviation professionals in mind. 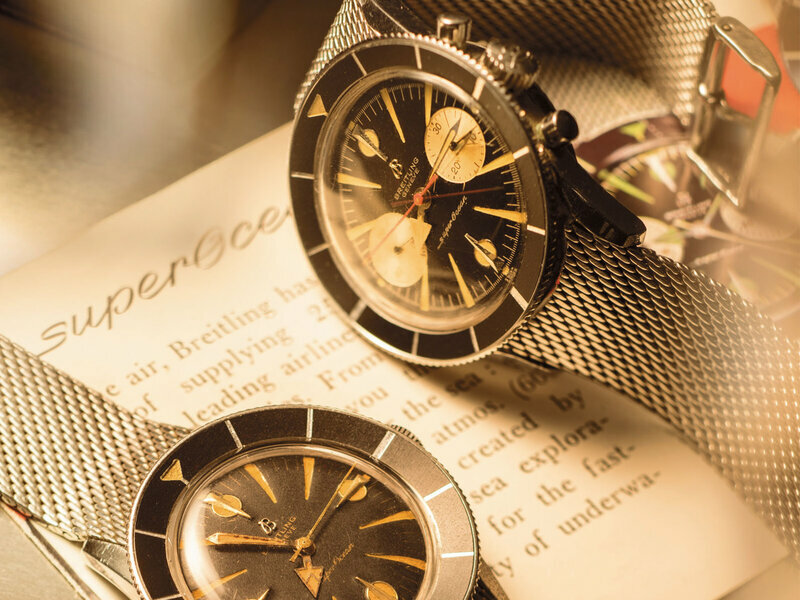 The independent watch company Breitling was acquired by the British private equity firm, CVC Capital Partners, which took an 80% stake. The remaining 20% stayed with a member of the Schneider family. 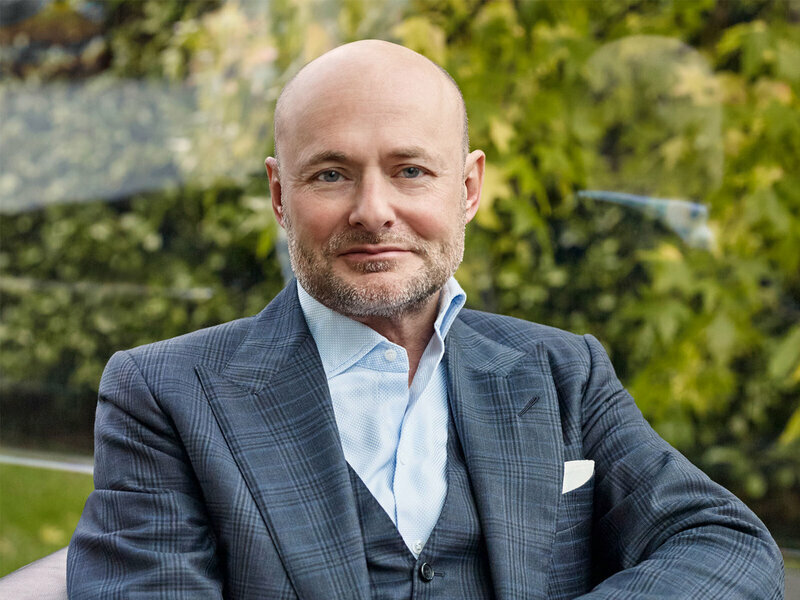 Georges Kern, who already had a distinguished career in the watch industry, was appointed CEO.